Ongoing deal, never expires. Last validated 9mo ago . Used 7 times. @dealsadvocate As of 07/21/18, I tested this promo code and verified that it works as described. Exclusions apply. 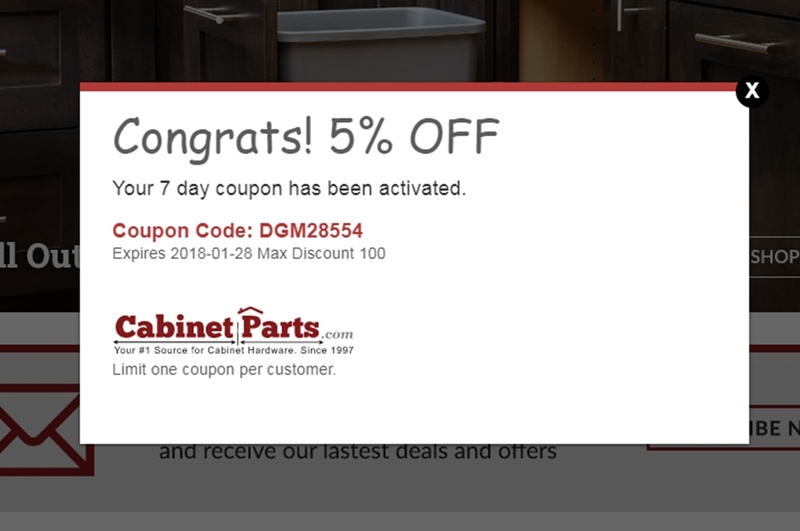 Freddy Use promo code at checkout to get a great offer: 5% off your next purchase at cabinetparts.com. Expires 2018-01-28. Max Discount $100.